Scott & Christie Eyecare Associates is a proud provider of essential Eye Care needs for the surrounding Pittsburgh area. We are an independent practice offering a full range of General Ophthalmology Services using the latest technology and customized treatments. At Scott & Christie, we pride ourselves on building quality patient/doctor relationships while delivering customized health care. 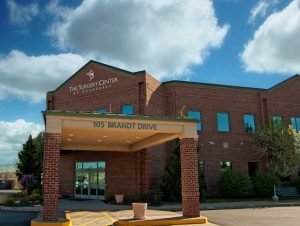 Visit us at www.scottandchristie.com to meet our doctors and learn more about vision services. You can also call us at any one of our three locations. Our Optometrists and Optical staff are available to meet your needs for basic annual preventative eye care with full Comprehensive Eye Exams and the provision of eye glasses and contact lenses. Our Goodlooks Eyewear offices are conveniently located in Cranberry Township and Fox Chapel. For more information about our service please contact us using the numbers below. Our doctors and staff bring a personal touch to LASIK procedures as well as other corrective surgeries performed at out Surgery Center at Cranberry. We invite you to explore our website to learn more about your options and see why InSight LASIK & Refractive Group is one of the most trusted centers in the tristate area for LASIK eye surgery. Call us to schedule your free consultation today!